Stentorian Custom Engines is a car company that provides maintenance, restoration, and high end tuning to classic and modern cars. I used the definition of stentorian as a concept to create the graphics of the brand. 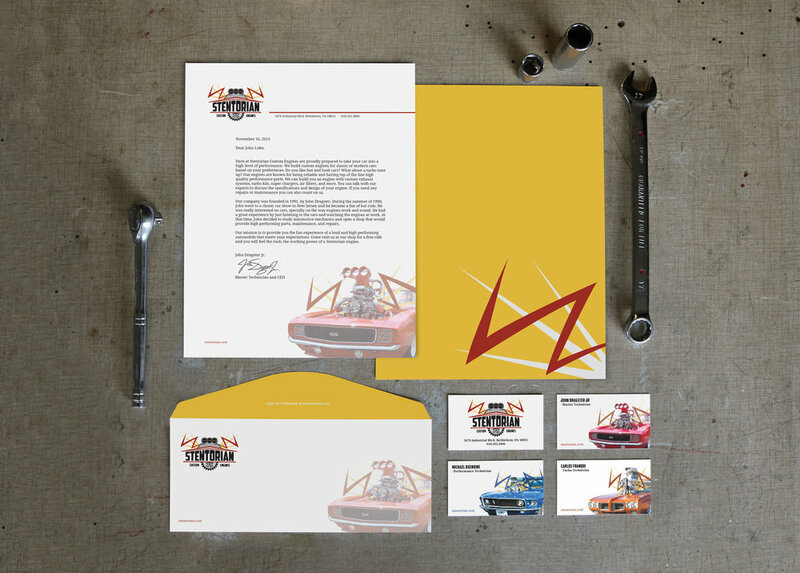 A combination of photography and vector line workwas used to create the logo, letterhead, and business cards.